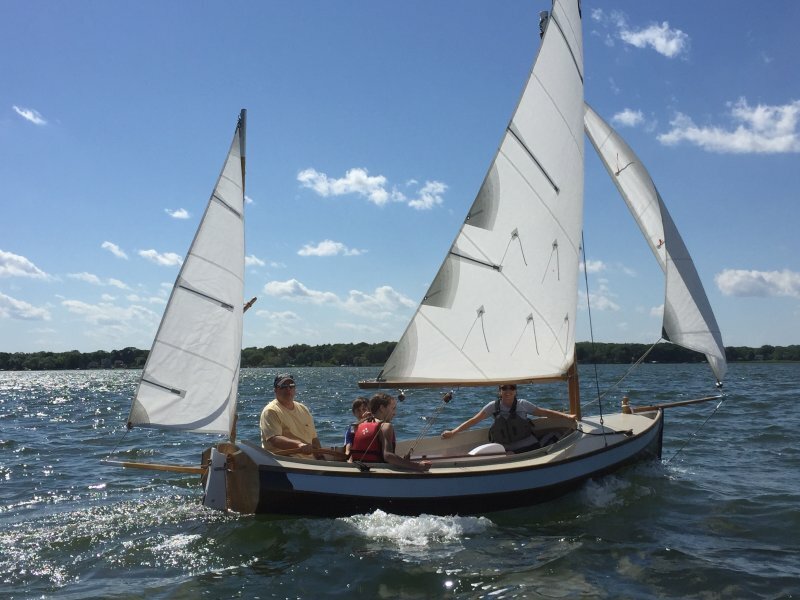 The Welsford Navigator, Puffin, was launched on June 5, 2016. This is my first scratch built boat. Okume plywood was used throughout with white oak and Brazilian cherry for the various and sundry bits. The main mast is hollow birds mouth construction Sitka spruce and is hinged based on a design shown in WB a couple of years ago. The other spars are laminated spruce. Sails were sewn based on the plans, from a kit supplied by SailRite. 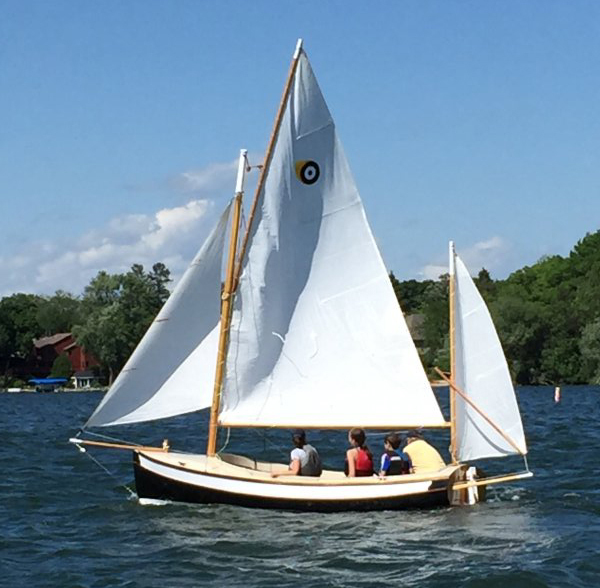 She will be sailed primarily on the lakes in Wisconsin. Perhaps she will do some camp cruising around the Apostle Islands on Lake Superior, or even enter the Everglades Challenge.